The news about Africa is often unbalanced with the positive news coming out of Africa lost in the usual war, famine, death narrative. Even media outlets with a good record in presenting stories from Africa, struggle to give the good news, as the BBC’s Nancy Kacungira so succinctly laments. 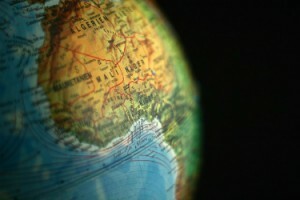 Send us the unusual and little known stories – editors@africanpostmark.com. 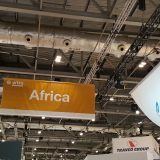 African countries showcased the beauty of travel to the continent at this year’s World Travel Market Expo in London. The President of Rwanda, Paul Kagame, welcomes documentary film maker Peter Greenberg as Rwanda becomes the latest country featured in his travelogue series “The Royal Tour”, and reveals the beauty of Rwanda – making this a must visit country for any discerning traveller. Reporting for AfricanPostmark from the Mindelo Carnival in Cape Verde, Paula Moio falls in love with Cape Verde, again and again. An Island filled with good food, good music and beautiful, friendly people. 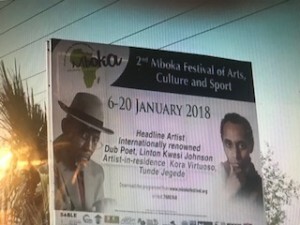 In Wolof, Mboka means “one family” and the 2018 Mboka Festival of Arts and Culture welcomed visitors to The Gambia to celebrate Gambian cultural heritage and the cultural heritage from the African diaspora. Actress, Writer, Lecturer and Raconteuse Anni Domingo and her family, were revived in the African sun. A visit to the vibrant city of Lagos (Nigeria) is sure to capture your heart as AfricanPostmark’s Andrew Isabirye can testify. 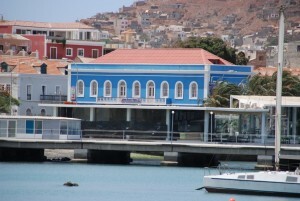 The Baia das Gatas Festival is a perfect introduction to the beautiful Island of Cape Verde and runs from 11-13 August. There’s still time to book your ticket to this beautiful Island and enjoy good music, good food and meet friendly locals. A celebration of Africa at London’s South Bank – Africa Utopia 2017 featured panel discussions, food, fashion and arts and crafts from Africa. 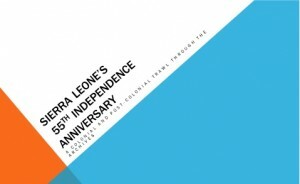 Former footballer, Leroy Rosenior launched his West African book tour in Accra, Ghana. 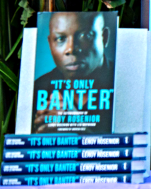 His autobiography “It’s only Banter” recounts the highs and lows as a professional footballer. 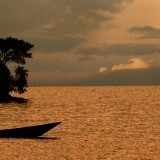 ‘The Nile Project’ brings together musicians from all 11 countries (Egypt, Tanzania, Rwanda, Uganda, Burundi, Kenya, Ethiopia, Eritrea, Sudan, South Sudan and Democratic Republic of Congo) through which the great river Nile flows. 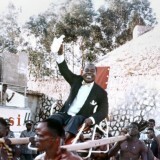 The musicians combine the rich musical heritage of their homeland with a social message. Our Choice, Our Inauguration, Our President! After 22 years in power in The Gambia, Yahya Jammeh was defeated in the 2016 Presidential elections by Adama Barrow. 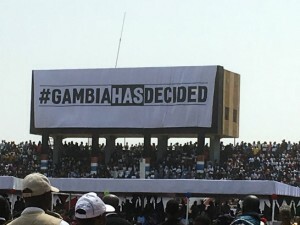 Jammeh initially accepted defeat but then refused to relinquish power. However, the will of the Gambian people prevailed and President Adama Barrow was inaugurated as the country’s rightful president on 18th February 2017 – a little late but a welcomed achievement. Kadija Sesay reflects on the celebrations that accompanied this peaceful and emotional event. 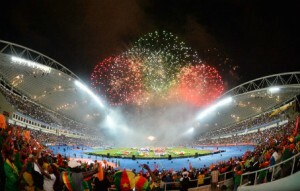 With their big name players deciding to stay away from the 2017 Africa Cup of Nations, Cameroon were ranked as outsiders to win the tournament. But heart, pride and team spirit delivered a stunning victory for the indomitable lions as they were crowned well-deserved champions. 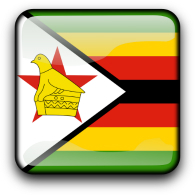 #ThisFlag a movement representing the hopes and ambitions of Zimbabweans as they demand an end to the country’s economic problems. UK-Zimbabwean Barrister, Beverley T Da Costa helps us to understand the growth and impact of the movement. After falling in love with the beautiful Island of Cape Verde, AfricanPostmark’s Ade Daramy returns to the Island just in time to experience the Mindelo Carnival – the Creole festival full of colour, music and atmosphere. Whilst enjoying the delights of the mother of carnivals in Trinidad and Tobago, Amadu Massally discovers he is surrounded by reminders of mama Africa. 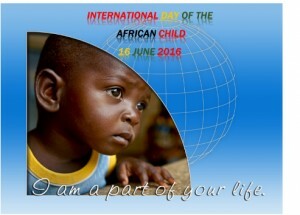 The International Day of the African Child has been celebrated since 1991 on 16th June. Each year a theme is chosen to commemorate the day which this year is: “Conflict and Crisis in Africa: Protecting all Children’s Rights,”. AfricanPostmark joins the world united in protecting and nurturing children. Meet French Cameroonian designer Ayissi nga Joseph Marie (aka JJ STYLE) making a name for himself in the world of fashion. 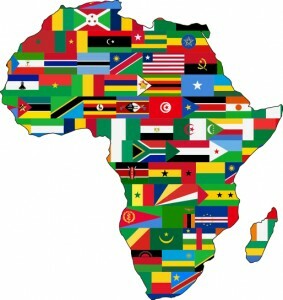 AfricanPostmark’s top 10 TED Talks focusing on Africa that challenges the single story portrayal of poverty, corruption war and other negativity. Your Hair, Naturally Yours, Naturally Beautiful! Your hair is your crowning glory and more and more black women are rediscovering that natural is best. Five years after starting her natural hair journey, AfricanPostmark’s Mahalia Johnson gives us an insight on her journey into becoming a “naturalista”. In our Poetry Corner, AfricanPostmark publishes a tribute from a young man when asked to describe his idea of “Beauty” – it may surprise you! In our special series AfricanPostmark’s Ade Daramy and Isabella Lisk found there was more to this Island of Cape Verde than just sunshine and beautiful sandy beaches. 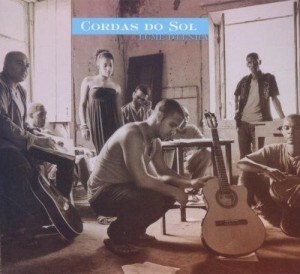 The next generation of young Cape Verdean artists keeping the islands music alive and keeping the world dancing. 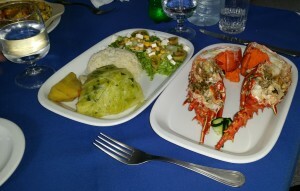 On a recent visit to Cape Verde, AfricanPostmark’s Isabella Lisk discovered a mouthwatering variety of seafood, a mainstay of the cuisine on this enchanting Island.